Finally, it’s spring. For those of you for whom this relates, also let me wish you a Happy Easter. It’s still cold outside though and the flowers are only beginning to take a stand. As such, I retreated to the studio for some spring time inspiration. Nothing over the top, went over to Stop and Shop and picked up a Calla Lily. This plant though was a real trooper. However, without realizing it, I have left myself open to a major charge of copycatitis. 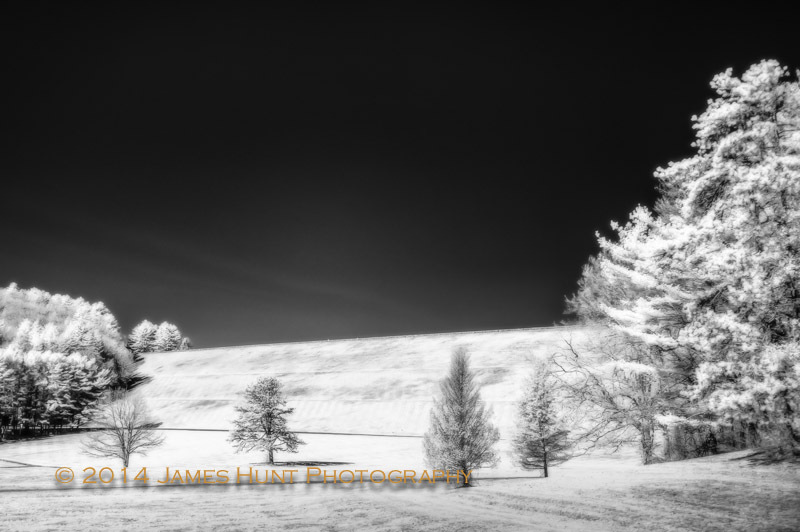 I am a regular follower of the blog of Stephen Gingold who is a superb nature and fine art photographer located in western Massachusetts, not far from the Quabbin. 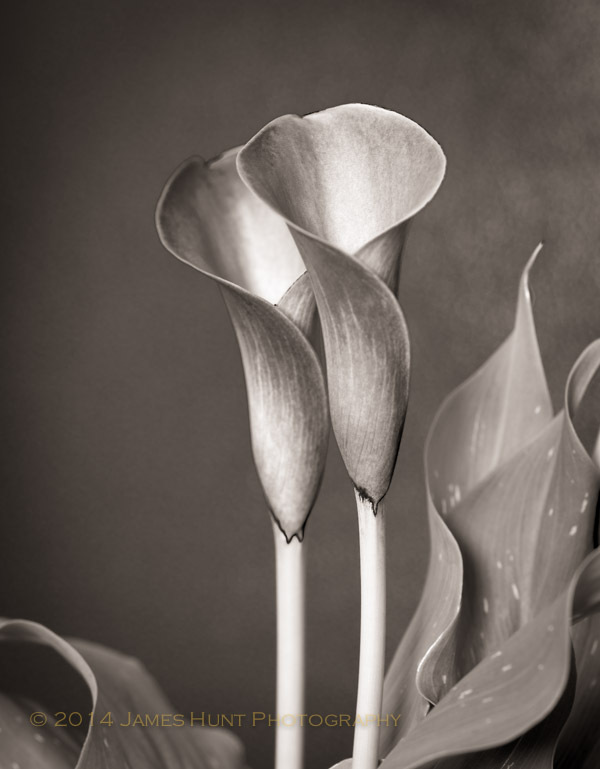 He just posted a stunning black and white flower image, something he has done before. 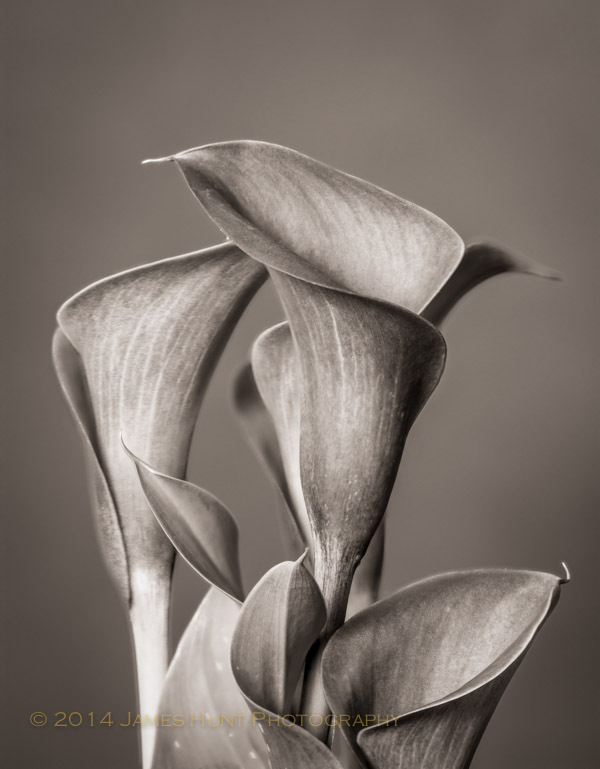 I didn’t really copy him, but have sure been inspired by his by his use of black and white photography to capture the wonderful lines and textures of flowers. 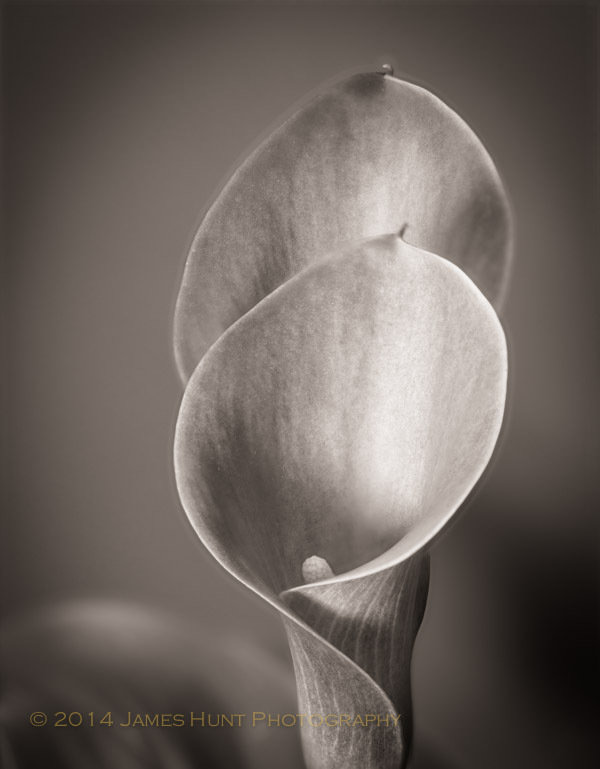 If you want to see Stephen’s incredible black and white flower work (among other subjects), click here. 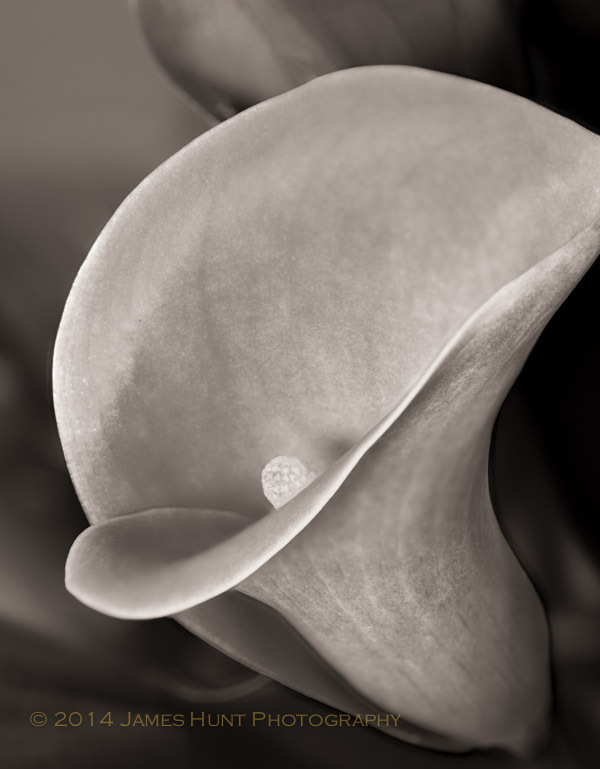 Why black and white flower photography? Good question. This particular subject has lovely magenta petals. I think every photographer would have to address that question on a personal level. I am in love with the design of flowers, much as I am in love with the design of the dam and dike at the Quabbin Reservoir. Flowers though are natural. Close to being perfect, but that wouldn’t be natural. The flowers are alike, and they relate to one another, yet they each have their own identity. Nature really blesses us with incredibly appealing designs, flowers are among her greatest hits in my view. But we tend to think about the beauty if flowers (I should say I tend to think) as been largely related to their wonderful colors. But there is much more. 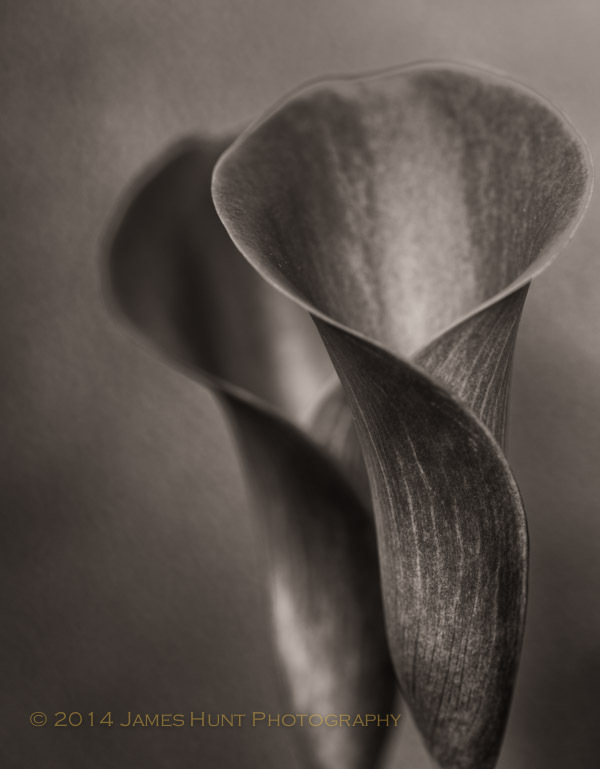 In this sense, I think, black and white (or in this case monochrome since these images are actually sepia) represent another window on one of nature’s most intriguing mysteries: the beauty of flowers. Enjoy the nice weather. Spring does seem to be fighting it’s way into our lives, thankfully. 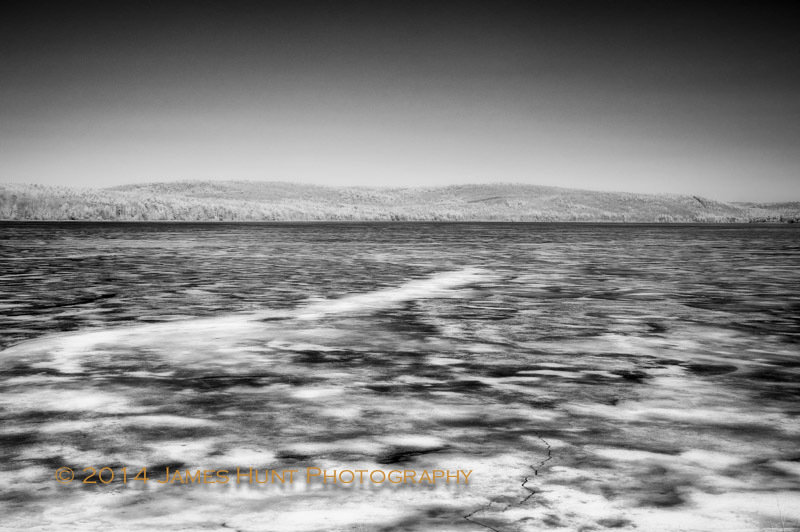 It was still quite chilly at the Quabbin (Reservoir, source of Boston’s drinking water) today. 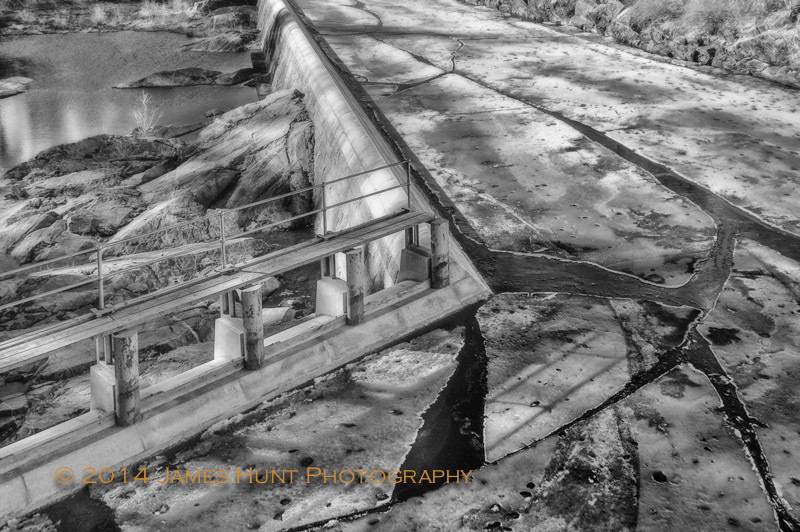 I’m finishing up my series of studies of the Winsor Dam, Goodnough Dike and the other man-made structures that hold back in the water in preparation for a magazine submission. On the way in, we stopped by the Spillway, the structures that allow excess water to flow into the Swift River as it leaves the Quabbin Watershed. This area is still fairly iced up. The ice at the Reservoir was 15 inches thick as of the middle of March. It is beginning to break up though, which offers this fascinating abstract visual presentation, one that speaks, at least to me, of the need for such a great engineering structure to reach balance with the nature that surrounds it. Just a week or so ago when we were here, in the distance, you could see an animal’s remains on the ice, surrounded by turkey vultures, right out here. One of the coyote’s tricks is to chase a deer onto the ice. That trick is going to fall out of favor any day now. I thought we had explored most of the terrain around Winsor Dam, but we had never taken the “Heart Trail” that cuts through the woods, down to the ground below the Dam. The difference in perspective is so interesting, and the few trees that dot the landscape before the Dam seem miniaturized by scale. I have learned a great deal by focusing almost solely on these structures for the last several months. I had thought for years that I had developed the ability to see what most don’t, which is a common trait among photographers. I now understand the value of repetition, of going back. I hadn’t really been seeing that much at all. I’ve also come to understand that, as so many experienced photographers will tell you, images, good ones, really are everywhere.